All residents impacted by or interested in the capital improvement project should attend this meeting. This is your opportunity to provide input prior to final approval and bidding of the project. 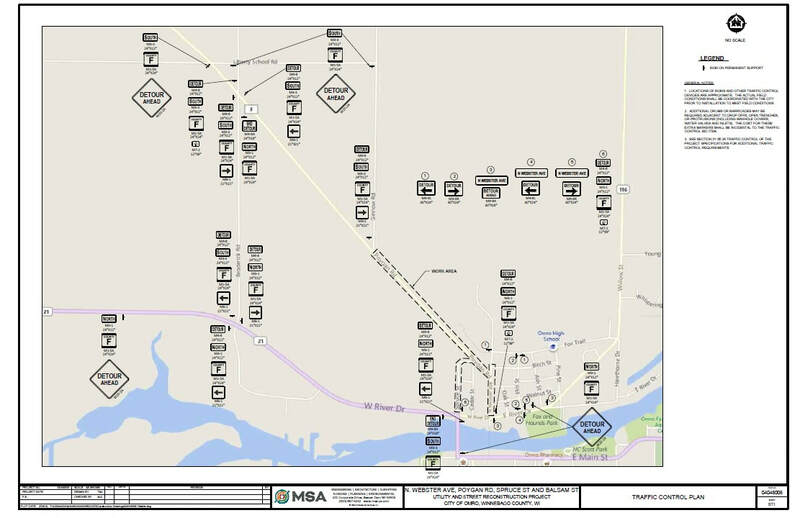 Current plans include new utilities, blacktop, curb and gutter and sidewalks on both sides of North Webster from East River Drive to Poygan Road and Poygan Road to the old railroad tracks; blacktop only on Poygan Road from the old railroad tracks (400 block of Poygan Road) to the northwest city limits; and blacktop and curb and gutter on Spruce and Balsam Streets. Due to right of way issues, there will be some easements or right of way purchases needed from parcels on Spruce and Balsam Streets to complete the project. No special assessments are planned for this project as it is currently proposed to be completely paid through city tax dollars. Should this change, a special assessment public hearing will be held and all parties affected will be notified. A brief overview of the project information will be posted following the meeting for those unable to attend in person. If you have further questions, please contact Linda Kutchenriter at (920) 685-7000, or stop at City Hall to discuss any concerns you may have.